Peppermint skincare is used to relieve skin irritation (such as dermatitis), itchiness and to reduce skin redness. Peppermint skincare is also a valuable ingredient due to its soothing and cooling qualities. It's ability to reduce skin redness (where inflammation is present) and to refresh the skin generally makes it ideal for the treatment of feet. Peppermint essential oil makes for a very refreshing foot cream or scrub. √ AND all without preservatives, chemicals or artificial colors! Our focus is people, animals and nature. Together with scientist we search for ingredients from mother nature. Then we test each ingredient individually to prevent hypersensitivity or any kind of irritation to the skin. Peppermint has supposed uses in traditional medicine for minor ailments. We read a lot about it and Peppermint oil and their leaves have a cooling effect when used topically for muscle pain, nerve pain, relief from itching. That is why we use this special oil in our foot cream and foot scrub. It has more that just a cooling effect. 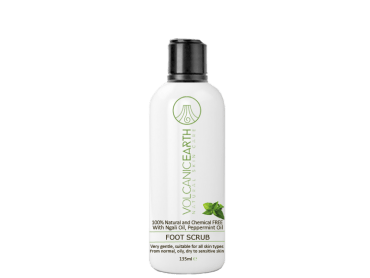 If your feet are tired or irritated gentle start with a peppermint foot scrub and than finish with the peppermint foot cream.